In the Fall of 2016, Ellen’s Stardust Diner was going through some serious changes. New management allegedly fired many long-time employees of the famed New York musical eatery, which lead to an attempt to unionize and a class action lawsuit. Now, the Stardust is accusing staff of stealing hundreds of thousands of dollars over the years. One waiter, an actor name Zechariah “Zech” Azazi, allegedly “stole at least $38,167.34” during a four-year period, the papers charge. Abby Burke allegedly pocketed $18,069.17 over six years. 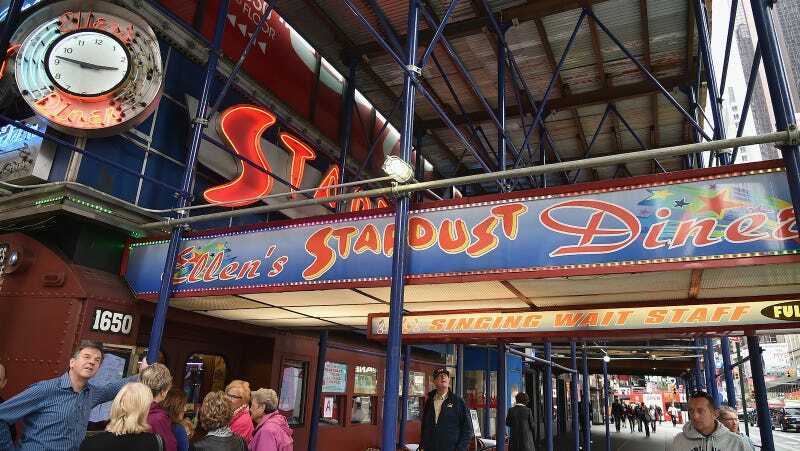 But employees are suggesting the sudden accusation is a retaliation for that class-action lawsuit being brought by Stardust Family United, a group of workers at the restaurant who have never officially sought federal certification as a union, but who are collectively suing Ellen’s Stardust Diner. Their attorney, Ben Dictor, told the Post that these accusations of theft are meant to “chill other people’s participation” in the worker’s lawsuit, which accuses the owner’s of abusing, withholding and wrongfully distributing their tips. Though it is wrong to steal, the price of a soda doesn’t begin to make up for that. Even the price of a soda in Times Square.